Great mod!!! 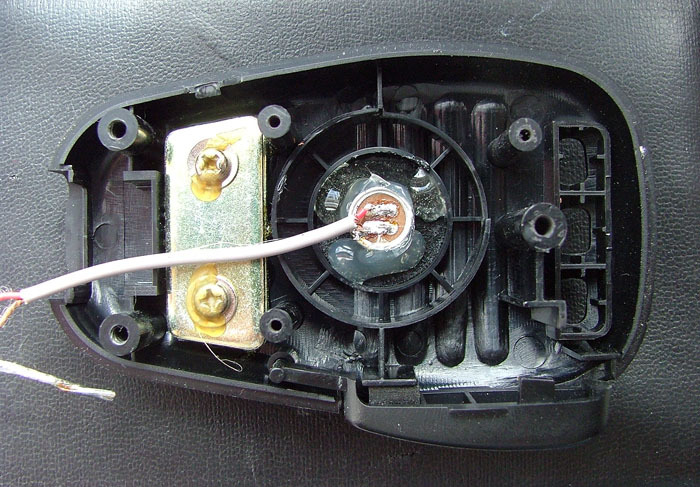 On the electret element….any particular brand/part number? OR…is this just a generic electret element?? On my 2nd 817 I used a speaker mic from an old HT…took out the speaker element and replaced the mic element with a Heil HC-4 DX element. GREAT talk power on SSB but a lot of the locals didn’t like the sound on the FM nets….kept telling them “this is communications audio not broadcast quality audio!! Thanks for the comment. I used a Panasonic back electret element, but I don’t think it makes too much odds! Hi, it works. SSB mic gain was always set at 60 plus. Now it’s at 10. Thanks for the comment, glad you are happy with the mod! Hi just a question regarding the 47nf capacitor. I see in your PIC the code is 403 on it and not 473 is there a difference? perfect mod. I’ve done the same many yrs ago. Tiny RF choke is a good idea, specially when operating portable running with poor antenna with strong RF feedback. In my mod I kept the original mic and drilled a tiny hole to the capsule. I can switch between them. Thanks for the comment. I have not had any RF issues so far, but a RF choke sure wouldn’t hurt! 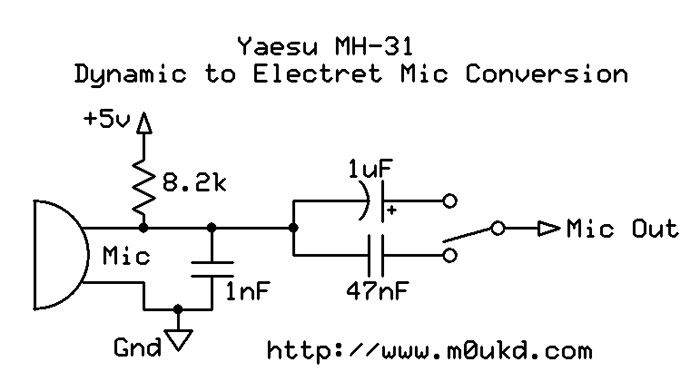 The Yaesu MH-31 is a very GOOD microphone!! I will always keep it as it is. Because this specific dynamic microphone has certain advantages. To get the wanted effects or results on the air, one need to know and to fully exploit these advantages. I use this microphone with Yaesu FT-847 and with FT-817. On this device you can turn off and on the compression (and even to adjust it). Thanks for the comment. I prefer condenser microphones over dynamic microphones myself and have found the modification improve my audio a lot. Here is a brief test. Version “A” is the original MH-31, with no mods in it. Version “B” is an MH-31 with my el. capsule, almost the same as in the picture above. The house of the mic is filled with some pu foam to avoid “box sound”. The test radio is an FT817, receiver is an SDR with 2.4KHz bandwidth, AGC is fast. It is the cheapest way to improve it. It drasticly improved my audio. I used a 470nF capacitor instead of the 1uF type. Is in service for several years now. wich the difference between 1 uf and 470 uf more gain?? There is no 470uF. It’s a 47nF capacitor, which will act as a high pass filter to take away some of the lower audio frequencies for a little bit more punch. I prefer the 1uF setting myself! Completed the mod using a maplins £4.99 condensor mic and it has yielded very good results over the original mic. Have yet to try on live HF but over a dummy with recording of transmission the difference is quite noticeable. Thanks for the comment Chris, glad to hear you had success! What is the function of the 8.2Kohm resistor? I assume its something to do with reducing the voltage to the electret? I’ve used a 4.7kOhm and it seems to work. Should this be the case? Yes, it is limiting the current and therefore the voltage to the electret’s amplifier stage. Anything in that region should be OK.
Hi John, Many thanks for your excellent website. The mic mod works brilliant. I was confused at first how to wire up the switch but then followed the circuit diagram, removed the existing electrolytic cap and rewired the switch and now works like a charm. Like the chap above I used a 470nF tantalum cap instead of the 1uF electrolytic cap. I didn’t have a 47nF cap handy so I used two 100nF caps in series. The electret I used (I had a bunch in a bag from an old project) was digikey part number 423-1025-ND but it’s no longer listed on their website. It was mfg part number MD9755USZ-1 and description “MIC CONDENSER ELECT -44+-2DB SOLD”. I reduced the SSB MIC GAIN from 80 down to 20 and now I can speak in a normal tone with the mic 6 inches away rather than eating the mic with a raised voice, and the ALC is happy with maximum power out. Thanks for your comments Gethin. Nice to know it is working well for you and thanks for the info! Great mod..So simple but so good. HI JOHN AND HI TO ALL WHO HAVE DONE THIS MOD. I HAVE THE FT897d. NO MATTER WHAT I DO IN THE MENUS THE REPORTS ARE THE SAME “audio is muffled”WILL THIS MOD CURE THAT ISSUE OR DO WE KNOW . CHEERS FROM EI2GHB CORK IRELAND. Hi, did you think this mod is gonna work on a Kenwood TS120? I bought one without mic, then I will try this modification. Hi. 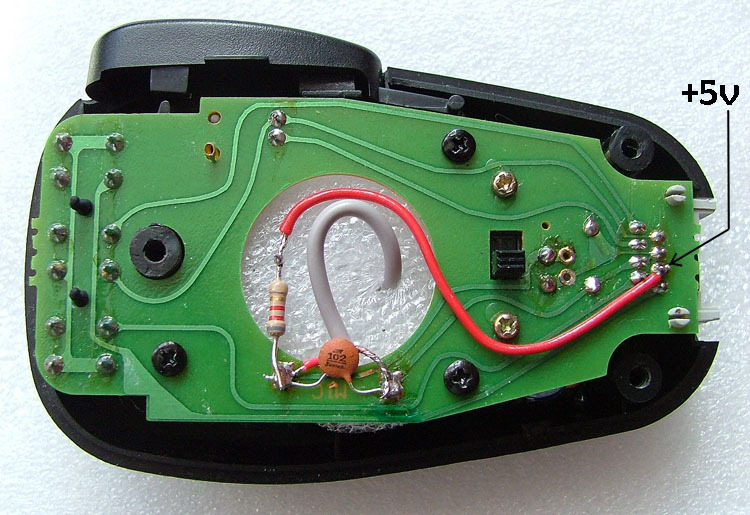 It should do, if you can supply power to the electret element somehow; maybe a battery. It depends what sort of impedance the mic input is built for. Give it a go! About the mic… either, a low or a high impedance microfone (500 ohms to 50k ohms) can be used. Today late afternoon, I had an hour of portable operations and I have used the MH-31 with your mod suggestions . It has worked great, giving to me always a super 5 for R. In the last 3 years I used to transmit with headsets for PC , connected to a little plastic box for electronics, containing a couple of condenser + a variable resistor and a switch for r and t. I had always good result . I have to say that using the 8,7 Kohm instead of 10 Kohm and different condensers than from the the other project increased a lot the intellegibility of my audio. Today I have had a qso with M5AFD, using the MH-31 modified. He was so astonished from my audio that he wanted to know what kind of mike I had been using !!! Amazing ! The quality is as well as an espensive mike, spending only….. 1 Euro all together. In the next days, I’ll make a base version of this mike. Down here it is the web link of a video recorded yesterday evening from MI0VAC during our qso, while I had been using the Yaesu MH-31 modified according your suggestiones . Get a look on it . More then amazing modulation I had. I had been using 50 watts but I went down till 5 watts and the results were the same. I was on /P with a vertical folded coaxial dipole. Excellent results, thanks for the info! It stands well apart from the original mike and the audio quality is superb! Thanks for the comment Sean! 73, John. I tried this mod just as pictured. I found it works better if u remove the 680r resistor just above the RJ45 as this was inserted to match the original mic. 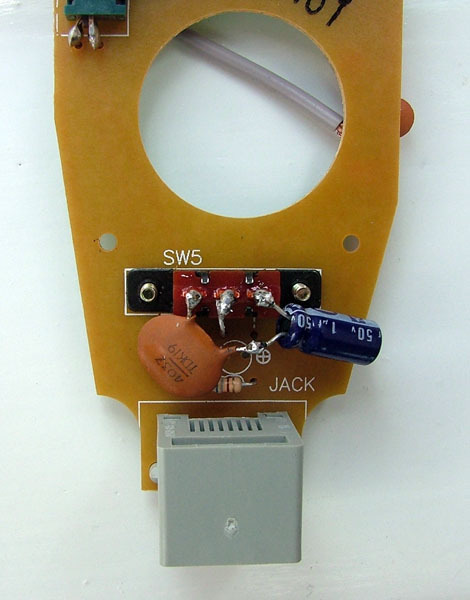 I have also fitted a 1k resistor from ground to the 8k2 as an auto transformer configuration. This helps reduce the overwhelming gain of the electret. I have done the same to a PC headset with great results.. Many thanks for your inspiration..